Building a website is a lot of work. Besides buying the domain name and getting the initial layout complete, making sure that your website will drive customer interest is a monumental task that will make or break the efficacy of your website. Landing pages are one of the surest ways to get customers where you want them to be. While homepages are great and handy for visitors who come to your page through their own web searches, landing pages can help keep the attention of potential customers who navigate to your site via social media or other pathways. They allow you to tailor the content of your site to the interests of the customer — customers are following the link to find specific information, and a landing page makes it easy for them to find it! 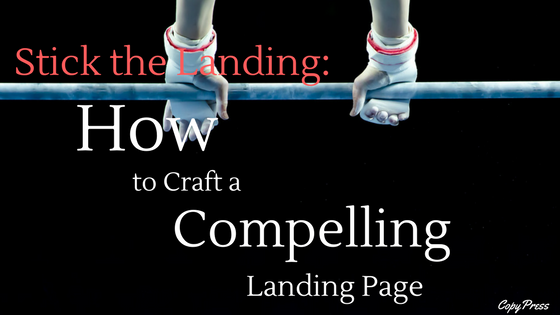 Crafting a landing page doesn’t have to be difficult. Here are seven ways to create compelling, gorgeous landing pages that will help you nab customers. The first step in creating a compelling landing page is knowing what audience you’re making it for. A landing page can be broad or narrow, depending on your needs. Imagine, for example, that you’re currently running two different sales. Creating a landing page for each sale will help direct clientele towards where they need to go. On the other hand, if your business offers to major service subtypes — residential and commercial, for example — you can create a landing page for both service subtypes. These pages will be larger and more information-heavy than the sales ones, as they need to cover more information. That being said, make sure you’re keeping your calls-to-action to one per page; otherwise, you’re basically just creating another homepage and undermining the purpose of a landing page. Understanding where you’re trying to direct your website’s visitors will help you plan how specific your landing pages need to be. The point of a landing page is, after all, conversion. You want your visitors to become customers and to have the easiest access possible to client-specific information that will influence them to choose your company. Take some time to figure out the different client audiences you’re interested in attracting and plan from there. Consistency across your website is key. You don’t want to have information on your landing page that contradicts your main homepage or other associated sites. For example, if you claim to be open seven days a week on your landing page but only Monday through Friday on your homepage, you’re creating confusion that can drive customers away. This also counts for how you’re directing your potential customers towards the landing page. 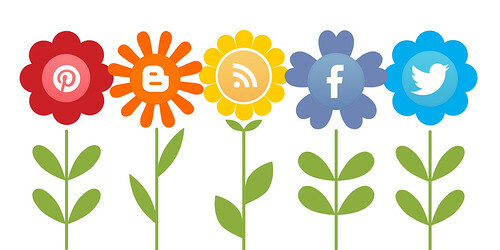 Social media marketing is currently the most powerful marketing tool that businesses have at their disposal. If you make a post that is linked to a landing page created for that social media marketing campaign, ensure that the information contained in the post matches up with the information on the landing page. The power is in the details when it comes to landing pages. Since these are catered towards specific client subsets, you should be cueing their interests through the page. For example, if you’re selling pencils, you shouldn’t have images of pens. This seems like common sense, but you’d be amazed by how much stronger of an impression you can make on visitors to a page simply by paying attention to small details. If you’re overhauling a pre-existing page, incremental changes can help keep customer interest, especially among your current client base. Completely overhauling can leave pre-existing users in the lurch. Instead, if something about the landing page has changed, subtly re-orient it in order to engage new potential customers while continuing to cater to your existing client base. Branding is what makes your design yours. If you have a marketing scheme, chances are you already have an established brand. Branding ranges from font choices to desired audiences to word choice and helps to individualize your company so it will stand out from the crowd. Branding is imperative in the modern digital marketing world. If you don’t already have one, you need to establish a brand ASAP. Your landing pages should support the company’s brand, both through aesthetics and content. If your brand is warm and friendly, you don’t want a landing page filled with technical, formal writing and vice versa. Therefore, it’s important to pay attention to all facets, including imagery, text, and tone. Continued cohesion helps customers feel grounded in what your company is and what you represent. It also makes the entire site flow more easily if they choose to navigate further. For pre-existing customers, continuing to stick to the established branding scheme will build rapport — consistency is an important part of creating a personality for your company and inspiring customer confidence. Finally, keeping your landing page clean and easy to read is one of the best ways to encourage conversion. Internet usage is brutally fast-paced — if the design is cluttered or makes it difficult for users to find what they want, many will click away before they even get to the meat of your site’s content. This doesn’t mean you can’t design your site to keep them there a little longer. The more time they spend engaged, the more likely your potential customers are to choose your product or service. However, it has to actually be engaging. Lots of images, clean text, and uncluttered layouts go a long way towards helping improve a customer’s opinion of the site. Funneling customer attention down the page via directed imagery and text is a useful way to keep them there longer, but don’t take too long to get to the point. The most effective landing pages take very little time to process — design clarity can help effectively demonstrate your point as quickly as possible without straying from your brand. Landing pages are a useful tool for businesses that are looking to give their audience specific information that pertains to different parts of their product or service. They’re especially useful for time-sensitive events, like sales or specials, as well as for linking to social media marketing sites. These tips should help you create a gorgeous landing page that will help increase your business and improve your online marketing results!